In a few hours, I’ll hit the road for Athens, Georgia to enjoy a weekend of friends and football. There are few traditions I enjoy more than a fall day in Athens, particularly as the weather turns colder. The annual Georgia/Auburn game is a pageant of experiences: good friends, great food (and drink), beautiful weather and the suspense of a heated rivalry. I’m a creature of habit, so I have a mental checklist of several things to do when I’m in Athens: a drink at Blue Sky, supper at Last Resort, and a nostalgic stroll through UGA’s North Campus. One tradition I’ve recently incorporated into my routine is a visit to this place: Onward Reserve. I rarely develop deep ties with brands. But, those that earn my loyalty (like Onward Reserve) are the ones that create a certain experience - an aesthetic - that few can match. They do more than meet my needs – they resonate with my tastes. I feel like they value what I value. Keep in mind that what’s significant about my affinity for Onward Reserve isn’t that I’m a “satisfied” customer. I’m a “loyal” customer. Yes, there’s a difference. Research shows that 75% of B2B customers who leave a company for a competitor were “satisfied” or even “very satisfied” when they left. Moreover, only 25% left for a lower price. The scary fact is that most customers never truly stop shopping. The few loyal customers who do are the exception. So how do you build deep, durable loyalty in customers? Is that even possible? Absolutely. Building loyalty requires more than just a one-off rewards program or marketing campaign. To the contrary, earning loyalty takes a lot of effort. But that effort is more than worthwhile because it entails enhancing some things about your business - from offerings to customer experiences - that could stand to be improved anyway. After all, the initiatives that convert customers into advocates are rooted in the things you did, the promises you made, to win their business to begin with. Most programs create switching costs (frequent flyer miles, reward points, etc.) that artificially shift the costs and benefits of buying elsewhere. Those only work for as long as your customers are willing to sacrifice some vendor flexibility for benefits like free travel. Other programs reward higher purchase volumes with deep discounts. That only trains customers to be price sensitive – to value scale over service. Rewards programs may build “satisfied” customers who are sufficiently pleased to stay put as long as it’s convenient. But, studies and experience prove that those customers aren’t dyed in the wool advocates. They won’t make your best reference clients. Even when satisfied they’ll still entertain sales calls from your competitors. Reward programs reveal a bitter truth about B2B customer advocacy: you can’t buy customer loyalty. You have to earn it. The best way to do that is by building an experience layer on top of your offerings. I’d add to that by saying that if you differentiate continuously through a stream of unique services and customer experiences you make a loyal customer. Here’s why. Over the past five years, there’s been a lot of talk in tech circles about the untapped potential of building a layer of service on top of products. What used to be all the rage in tech is now extending to other sectors like manufacturing, financial services, healthcare and retail. The most innovative businesses realize that they’re not just selling a product – they’re also selling the functionality it provides. Moreover, they’re also selling the experience of interacting with that product. Take the automobile industry as an example. Cars will always be thought of as products. But, as more auto manufacturers incorporate web accessibility into their vehicles, cars are becoming a platform for enhanced service applications. Think of it as iTunes (or the Google App Store) on wheels. Automotive purchase decisions are traditionally rooted in the product: how a car looks and how it feels to drive. But, that added service layer means that consumers will be drawn to the in-car experience as well. The possibilities for new features and points of differentiation are endless. More and more B2B firms are building a service layer on top of their product offerings, or converting them into services altogether. Instead of selling airplane engines, Rolls Royce now charges service fees to airlines based on engine usage time. Airlines love this arrangement because they don’t have to finance the cost of an entire engine; they just pay for propulsion instead. That’s easier on everyone’s cash flows. One of our clients, a manufacturer of specialized drives that control oil and natural gas pumps, has designed a proprietary data system that allows field supervisors to monitor and analyze well data in real time in order to optimize pump production. This means that our client sells more than just powerful equipment – but more productivity and less equipment downtime. Through that added service layer, they’re helping their customers realize the maximum potential of their products. They’re sustaining relationships well past the point of equipment purchase. Innovative B2B firms are learning that the key to growth in a mature market (and to sustained success in a growing market) is to add a service layer to their products. After all, products are more easily imitated than services through reverse engineering. From a marketing perspective, it’s a bit easier to differentiate around a service layer because successfully building one, to begin with, requires a deep understanding of customer needs. The service layer is where the thorniest customer problems are solved. It’s also how product breakdowns can be resolved with the least amount of pain and frustration. 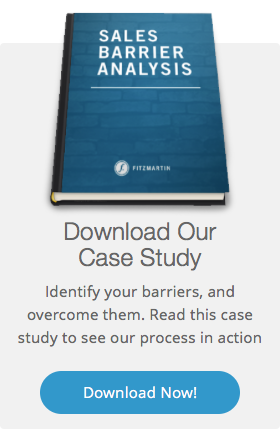 It’s the source of a business’s most compelling customer stories. All the same, the path to sustained customer loyalty begins with adding a service or experience layer to your product. Building an experience layer also requires intimate customer knowledge and great positioning. The businesses that build loyalty through layers have a clear understanding of who their best customers are and why. Onward Reserve feels like more than a store. Towards the back of the store is a full service bar where all patrons are offered something to drink. A flat screen TV and a leather couch are surrounded by Barbour jackets in the back – quite an inviting place for those needing to escape for a bit. The friendly staff is conversational, and presents a low-pressure experience. Quite simply, the inventory speaks for itself. Don’t get me wrong, any place that has a massive crocodile (or alligator) hide mounted on their wall is going to be a draw for Georgia fans. But the experience of escaping the crowded sidewalks on a fall Saturday is hard to beat. Compounding that is a warm and congenial environment with college-aged employees offering you drinks (or play time with a golden retriever puppy). That’s a whole other level of hospitality. Their goal is to sell clothes and other accessories. But, they’re perfectly happy to hang out with you as well. It takes a rare type of personality to pull that off without seeming artificial or cheesy. Scoff if you want, but, as with B2C purchases, B2B transactions also have an emotional component. B2B buying is accompanied by all of the euphoria, relief and remorse of consumer purchases, but with more pressure. Millions of dollars (and a few careers) are often at stake. Building an experience layer also means empowering your employees to solve problems when the opportunity arises. When flying out of town, I always prefer Midway. Part of that is because I would rather sleep in a hammock made out of barbed wire than fly out of O’Hare. Part of it is because it’s such a clean, easy airport to navigate. But, the culture that ensures Midway manages the everyday details also has the flexibility to respond to unpredictable chaos. Three days before Christmas, I showed up four hours before my flight in anticipation of the holiday crowds. I should have arrived eight hours in advance. The line wasn’t out the door. But, it was wrapped around the interior of the terminal, through a network of back corridors, at least two or three times. Strangely enough, no one complained about it too much. If you’ve ever lived in Chicago, you’ll appreciate how truly remarkable that is. Instead of queuing the line outside, in freezing weather, Southwest Airlines and Midway employees formed a kind of “telephone” chain that aided easy communication with bystanders along the line. It was genius. One employee was always in eyesight and earshot of another. And through that they were able to communicate wait times, flight statuses, and whatever else we needed to know to keep us at ease. Maybe that’s protocol, but in all my years of travel I’d never seen anything like that in my life. It’s likely that Midway's (or Southwest’s) customer experience layer afforded the flexible policies and service oriented culture that allows for that sort of solution to spontaneously happen. Of course, it’s hard to routinize customer experiences. There can be a lot of variability from experience to experience. But that variability is what makes that experience layer so compelling! Customers don’t compare averages with averages – they compare extremes with extremes. They notice speed of service only when it’s delightfully fast (or excruciatingly slow). Successfully embedding a service or experience layer will guard against the shortsighted strategic decisions that impair quality, or focus, in favor of more growth. Those layers will keep you from growing for growth’s sake. They reveal opportunities to pursue depth over scale. They will also help you build the offerings and empower the employees you need to cultivate durable customer loyalty. Customers who feel a bond of loyalty also have a sense of duty – they won’t take advantage of you. Call it gratitude for being so awesome to work with. Those customers are the ones who are less likely to burden you with ridiculous demands or unrealistic expectations. Otherwise, if you keeping treating your customers like commodities that can be bought and sold then they’ll return the favor.